The weekend is finally here and it's one of my favourite weekends of the year. 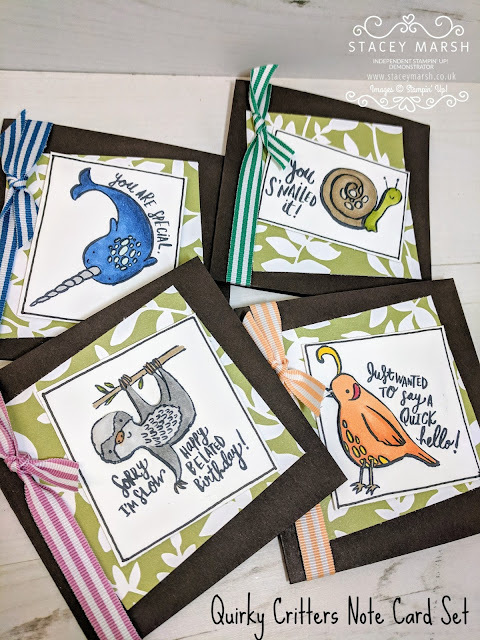 I am spending the weekend at Stampin' Up! Event with a few of my team and around 500 other demonstrators from the UK and Europe. At these events we get to preview the new products, catalogues, celebrate each others achievements and generally have a lot of fun! Tune in on Monday to see more! Back to Fridays project...a Notecard set that I have put together using the Quirky Critters Stamp Set. This stamp set is a really fun one to pick up and colour with your choice of pen, pencil or ink. 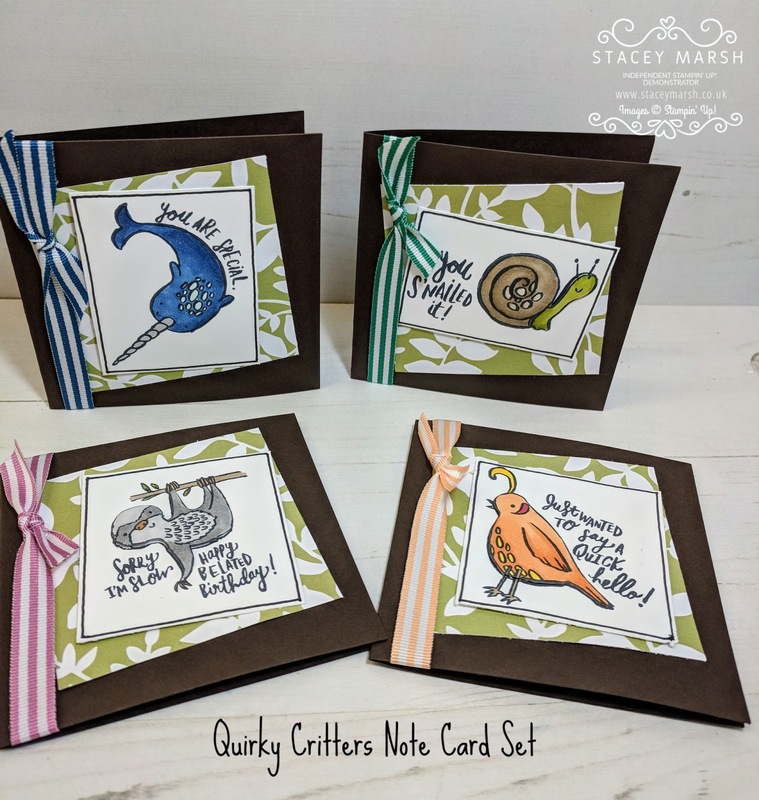 For this set I have coloured my critters in using Stampin' Blends and I have kept the cards really simple with since DSP and ribbon. The cards measure 4" square so make up a really sweet sweet of Notecards.